Does an umbrella protect you from rain or the sun? The answer to that question depends a little bit on which region of the earth you happen to be currently residing in and the nature of the sky above you. Perhaps you are staring up at a permanent overcast dishwater-coloured greyness threatening to provide a deluge at any moment. Or maybe it’s ultraviolet rays you are looking to seek shelter from. Believe it or not, protection from rain or sun is determined by naming and etymology. The word ‘umbrella’ derives from a few different words; noticeably the latin ‘umbra’ which means shade or shadow. It also has connections to the latin word ‘umbel’ which is a flat-topped rounded flower that sprouts short flower stalks. Parasol is a combination of Italian, Latin and French combining ‘para’ (to stop or shield) and ‘sol’ which means sun. The french word Parapluie is a literal translation of ‘protection from rain’. Umbrellas and parasols are constructed as hand held devices that are usually made to protect one or two people from elements above them. They are canopies supported by folding ribs that collapse into a pole and a handle. Popular materials to construct these tend to be plastic, metal or wooden or a combination of them all. Poles themselves can be retractable (folding up like a telescopic design) or are fixed in their size. Spring loaded riders and rider latches (the catch that locks the canopy in place) are usually prevalent in these portable designs. Fixed umbrellas tend to be used more in conjunction with furniture (such as outdoor tables) or beach umbrellas. Much of the umbrella’s origins and cultural story is spread across several geographical regions. There are references to the umbrella spanning from East Asia all the way to Western Europe in Ancient civilisations. The first recorded use of a parasol came form Ancient Egypt roughly 3500 years ago. Initially fashioned from the attachment of palm leaves to a wooden stick, they were made to serve by nobles and figures of importance in Egyptian society. These objects gave shade in the searing heat and were seen as enabling pale skin untouched by the sun; a status symbol that only a small minority could attain. Whilst the parasol is repeatedly found in carvings of the Middle East, Egypt, Greece, Rome and India; it is telling that the arid conditions of each of these countries did not see an important need to waterproof the fabrics used. This innovation was only made by the Chinese in 11th century BC that first pioneered silk and waterproof umbrellas. Similar to the nobility theme in Egypt, multi-tiered designs (some ranging from four to twenty four layers) were used by important figures and denoted a privilege that not many had access too. When Ancient Greeks and Romans were introduced to umbrellas around 1st millennia BC as a more consumable item for the masses, they were overwhelmingly viewed as a female accessory. This didn’t stop effeminate men joining women and enjoying the protective shade that umbrellas provided. The view of umbrellas being an object for females persisted until the mid 18th century, and gradually gave way to becoming a gender-neutral item. Some have credited stronger advertising and heavier designs as being responsible for this mindset shift. Finer materials such as wood, whalebone, alpaca hide and oiled canvases might have played a part in masculinising some of this; as well as handles that were fashioned out of heavier woods (such as ebony) that lent an artisanal and unisex feel to these objects. 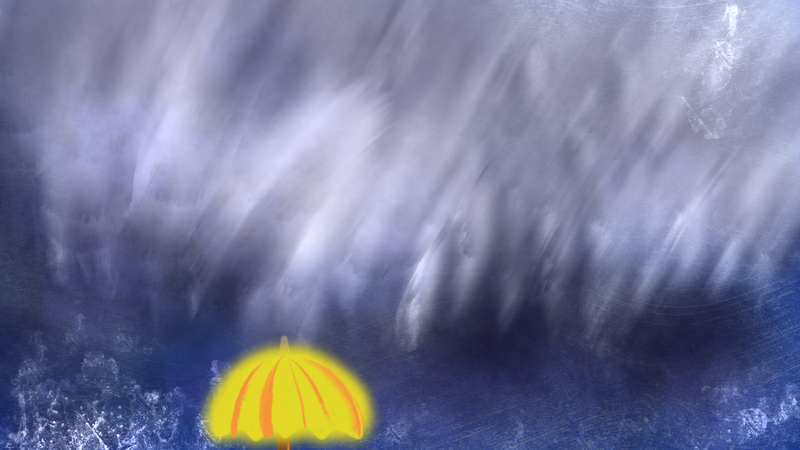 For an item that is designed to provide shelter, it is worth noting that the umbrella has been portrayed as a weapon and defence mechanism in many forms of popular literature and in real life. In the turn of the 20th century (1899–1902) Bartitsu, an eclectic form of self-defence (think boxing/fencing and stick-fighting) created by Sir Arthur Conan Doyle featured walking sticks and umbrellas as their primary weapon. In the stories of Sherlock Holmes, canes and umbrellas were an important part of the repertoire of this martial art. In 2011, French president Nicolas Sarkozy revealed that his body guards used armour-plated kevlar umbrellas in the event of being attacked. Each of these umbrellas cost approximately ten thousand sterling pounds. While they weren’t 100% bullet proof, they were able to withstand considerable impact (a test revealed that you could snap a wooden bar stool in half by hitting the umbrella with it). Many other spy films have depicted umbrellas as being capable of firing bullets or used to conceal hidden blades.